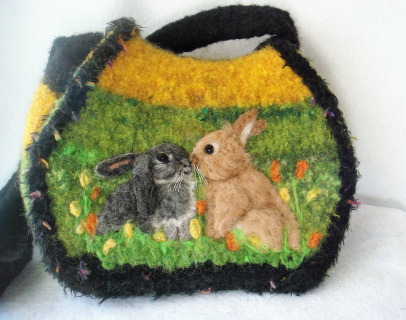 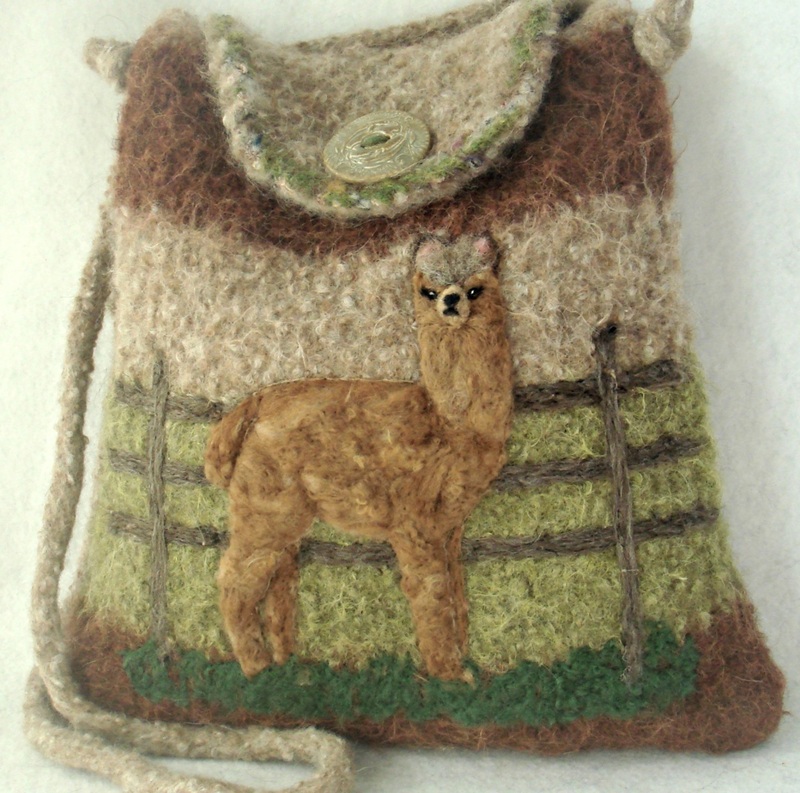 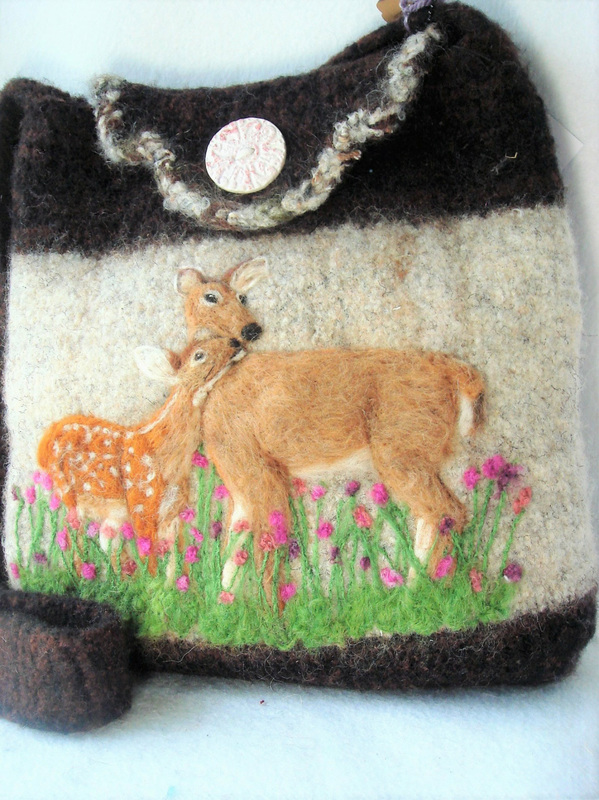 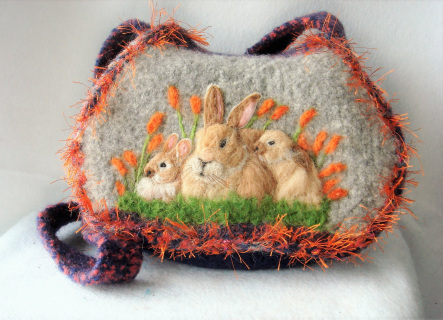 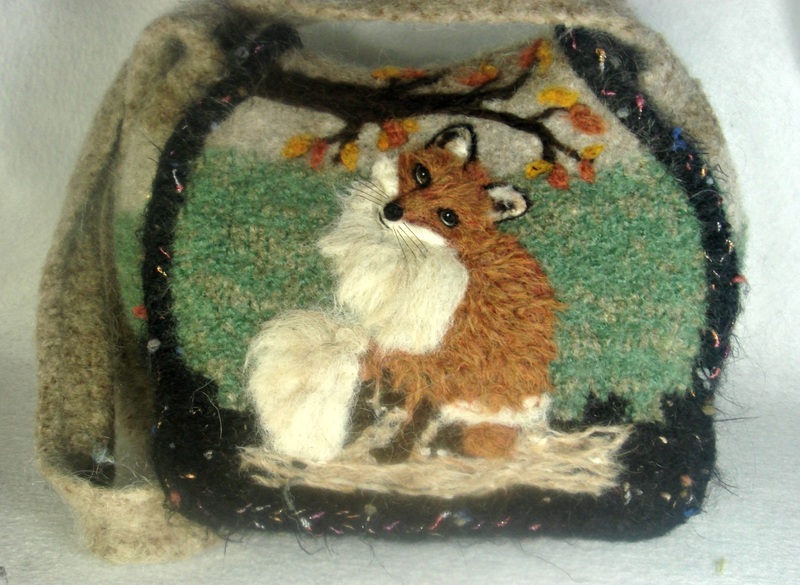 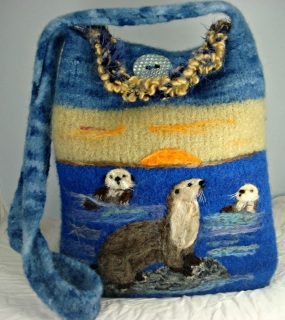 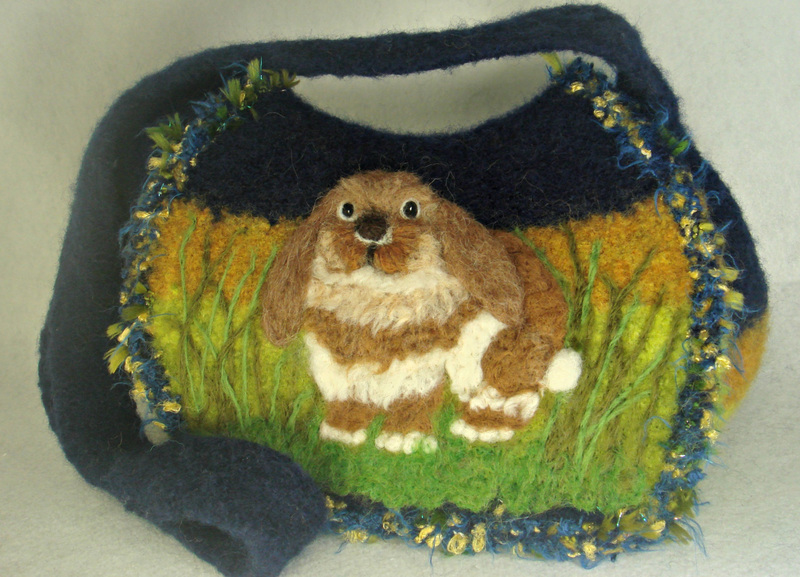 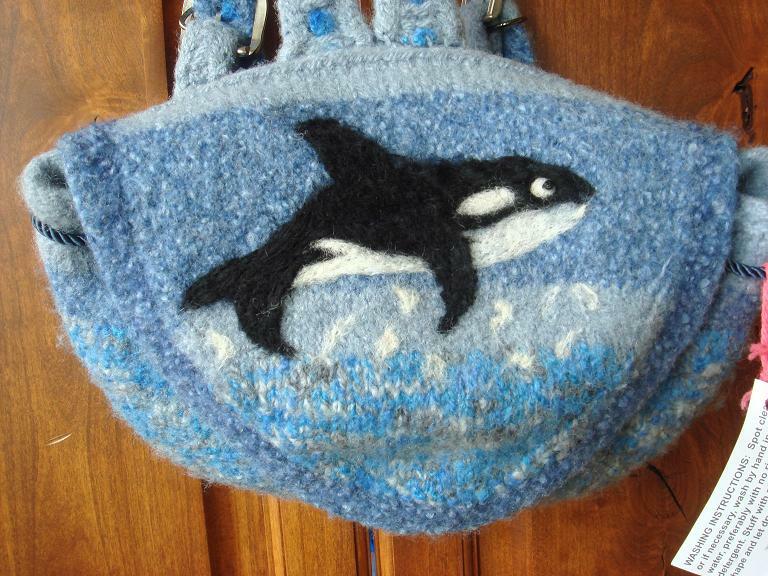 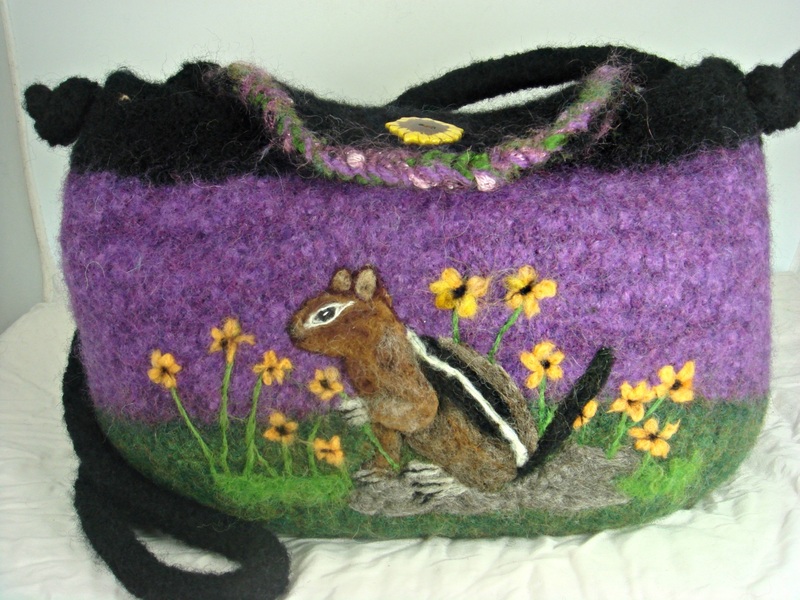 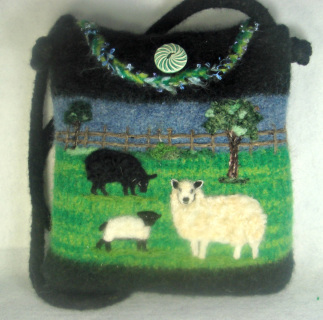 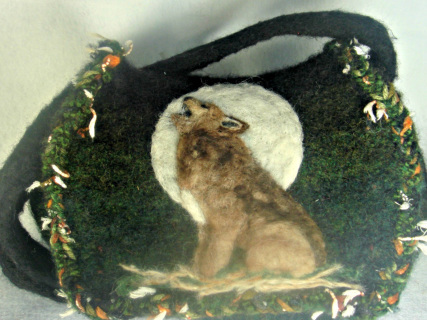 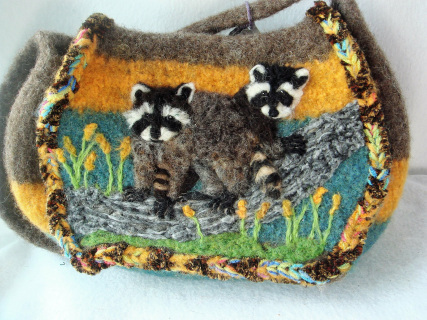 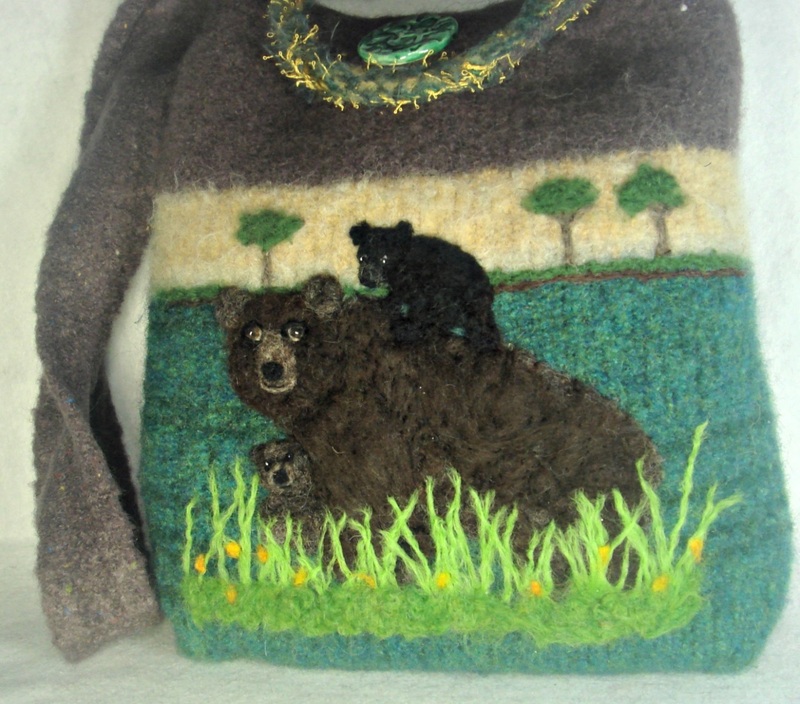 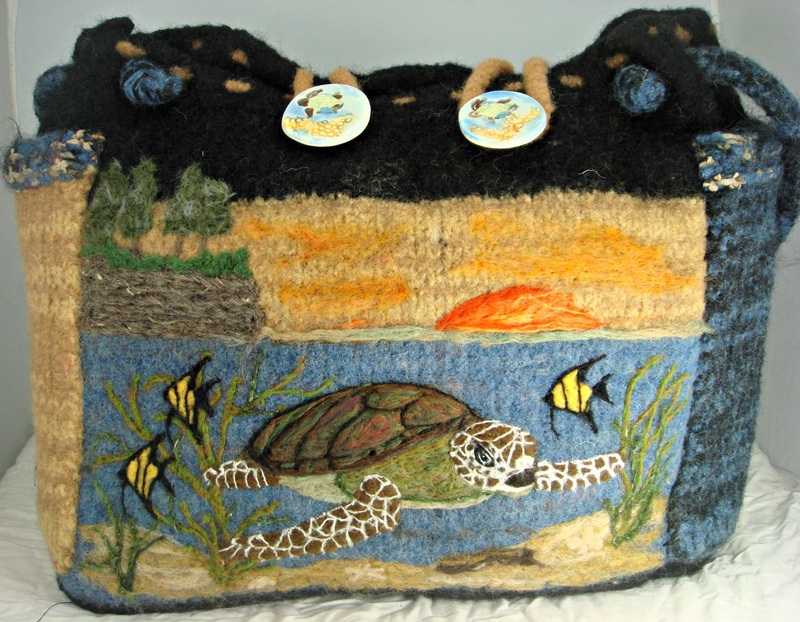 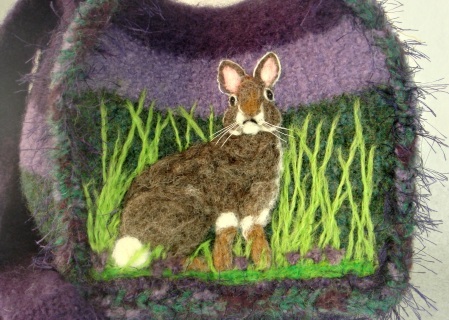 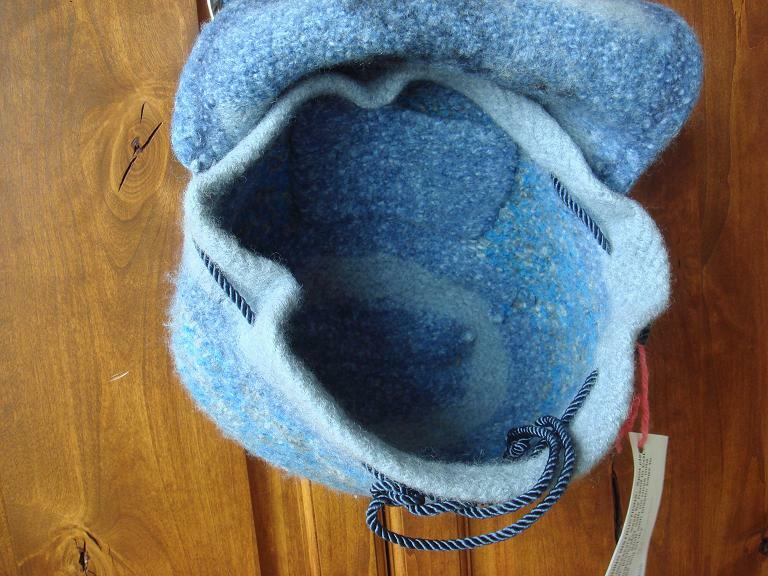 Felted Animal purses are so much fun to create and seem to pop off the front of the bag. 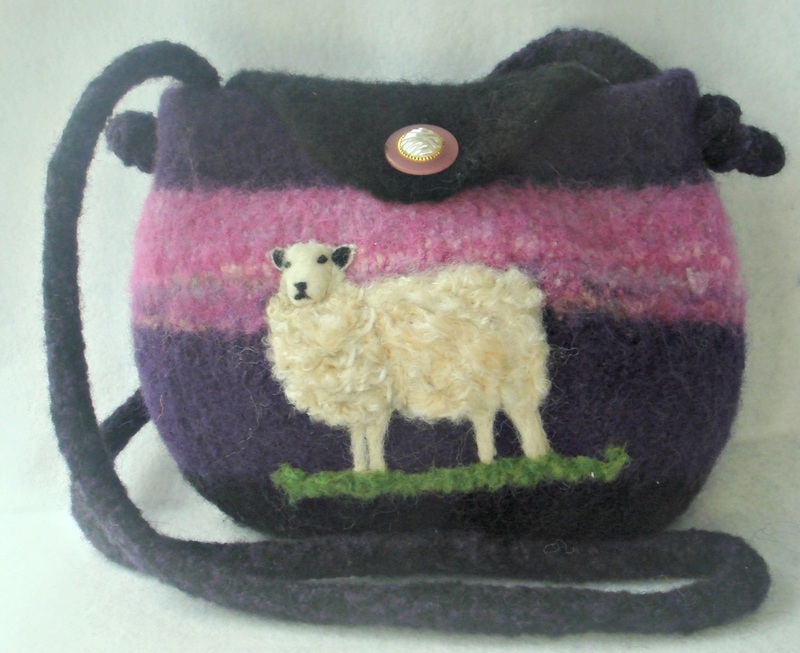 You will get many compliments when you carry one of these! Are you a whale lover? 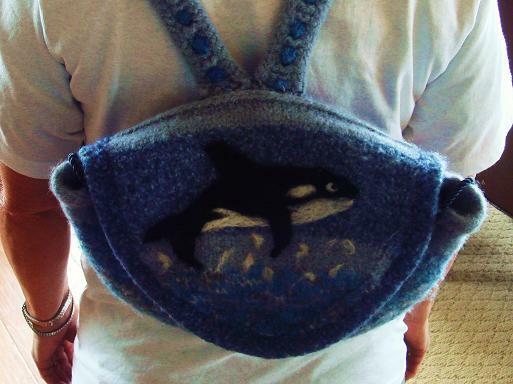 Great backpack--closes with a magnetic snap and tightens with an inside cord. Straps have buckles for shortening or lengthening.